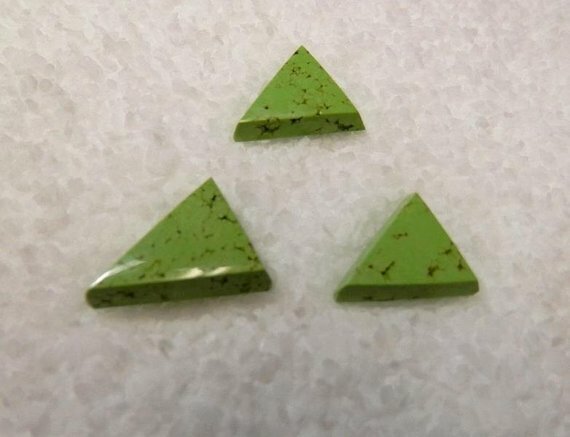 This lovely 3 piece suite of designer cabochons of top grade stabilized Australian Gaspéite is fully finished front and back. The back is flat with the proper angle cut for ease of setting. The strong lines of these cabs give an bold feel to the suite of stones. Ken just finished this piece and we think you will like the result! 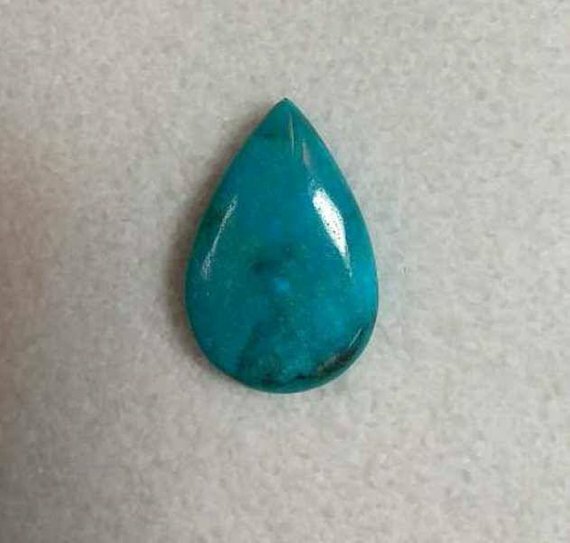 The center cabochon measures approx. 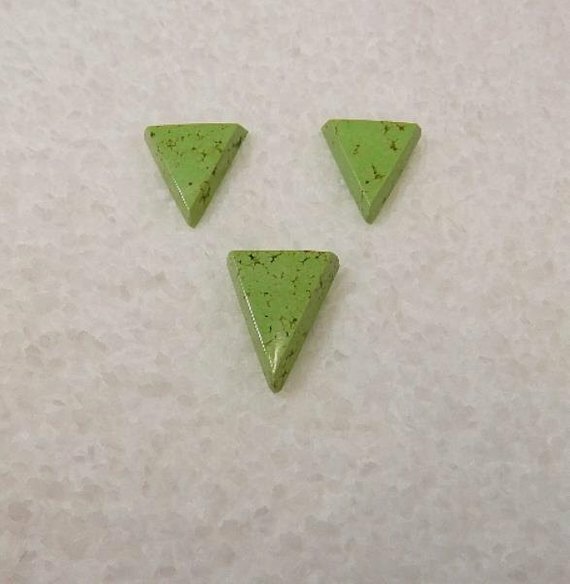 17mm x 12mm x 4mm, and the side pieces measure approx 13mm x 11mm x 4mm. Total weight of these cabs is approx. 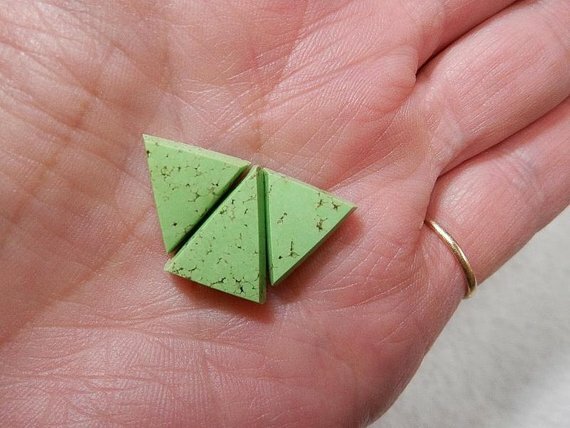 19.5 cts. Thank you for looking and as always, buy with confidence!